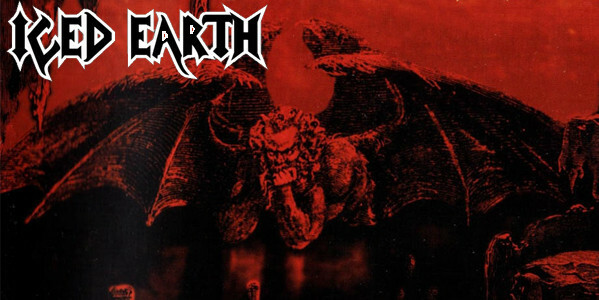 As enamoured with Power Metal as Thrash, Iced Earth’s 3rd album undoubtedly counts as a 1990’s trend-defying Thrash experience that added oodles of depth to its powerhouse musicianship. Dramatic and terminally unfashionable, it’s incredible such histrionic and horror-indebted Heavy Metal ever found an audience but Iced Earth have always been capable of releasing trend-defying Thrash/Power Metal albums that appeal to those who long for immersive narrative, palpable atmosphere and epic songwriting alongside their staccato riffs and soaring vocal lines. An often forgotten classic in Iced Earth’s formidable back catalogue, the dark and foreboding self titled track , the Thrash balladry of “Last December” and the bold, brave and adventurous closer “Dante’s Inferno” help to form an experience that may not be the greatest Iced Earth have delivered but in a decade that looked down upon this sort of Progressive Thrash with disdain, should be revered as a middle finger in the face of 90’s corporate Metal.